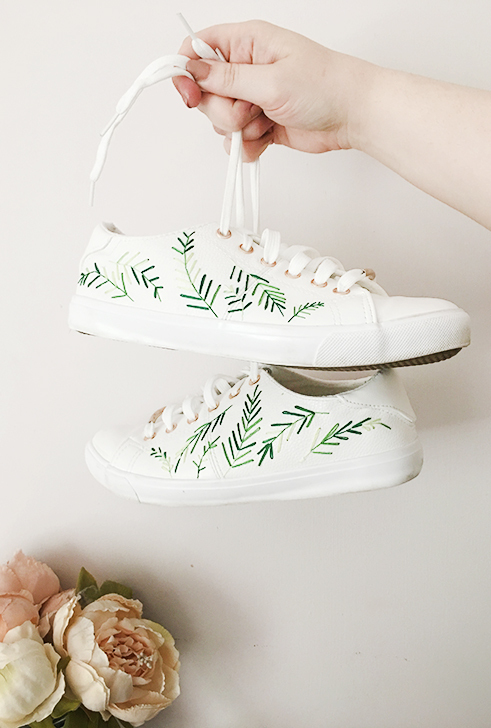 I have seen a bunch of gorgeous embroidered trainers and shoes around this season and you know I love a bit of embroidery. I don't normally wear a lot of floral prints in my wardrobe so I hadn't been able to find a pair that worked well with my everyday outfits. 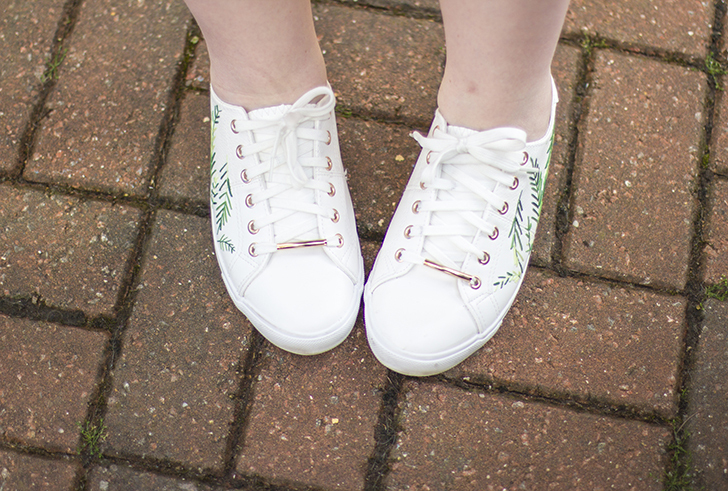 So I found a pair of plain trainers and sorted out some that would. 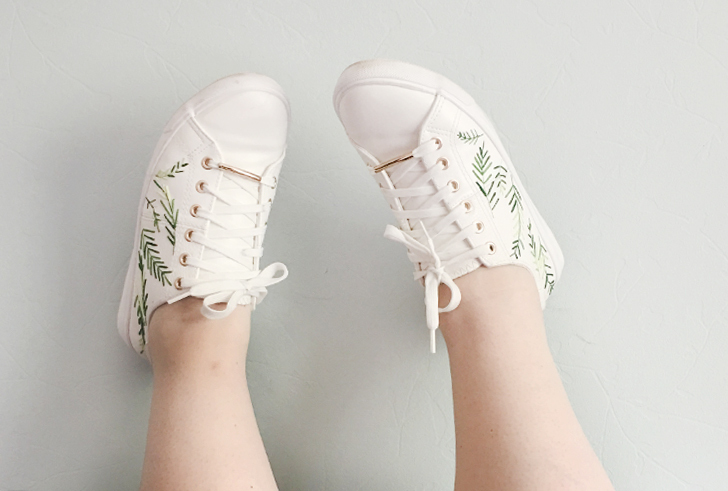 I embroidered this pair of basic trainers with some simple green palm leaves. 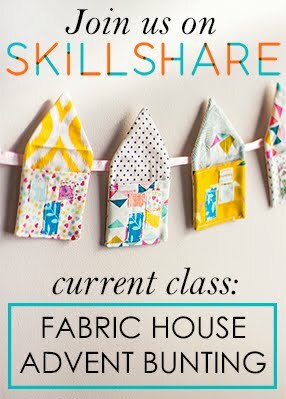 Here is how you can make some too. Step 1. 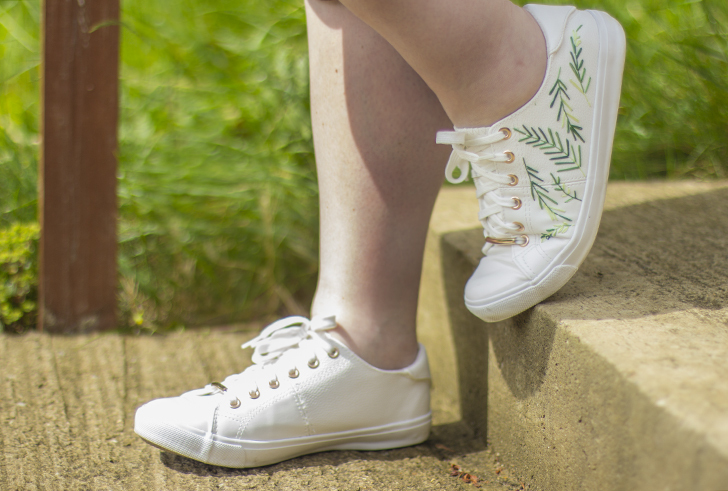 Start by removing the laces and giving the trainers a good clean, even if they are new they still may have some dust so use a baby wipe or makeup wipe to clean them off and let them dry. Step 2. 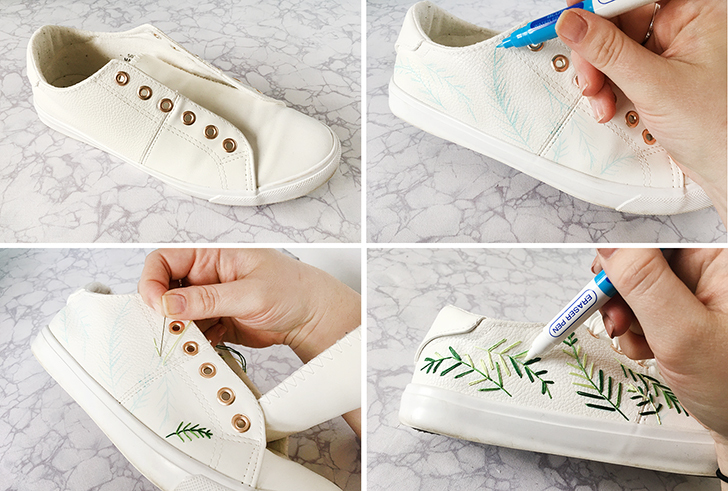 With a water erase pen or a simple pencil mark out a simple pattern of stems and leaves growing from the stems. Step 3. 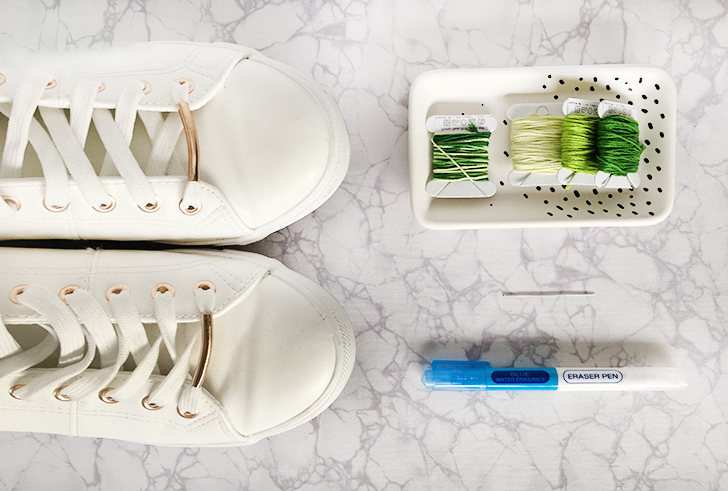 Using green embroidery thread sew from the inside out, moving the tongue of the shoe out of the way. I have used a combination of variegated thread and three shades of green. Step 4. 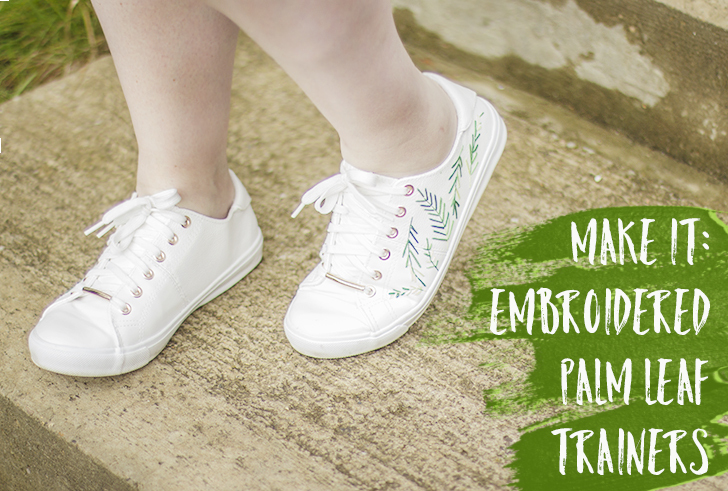 Once you have compleated all the embroidery go back in and erase the pen markings and repeat on the second shoe. That's it, it's that simple. 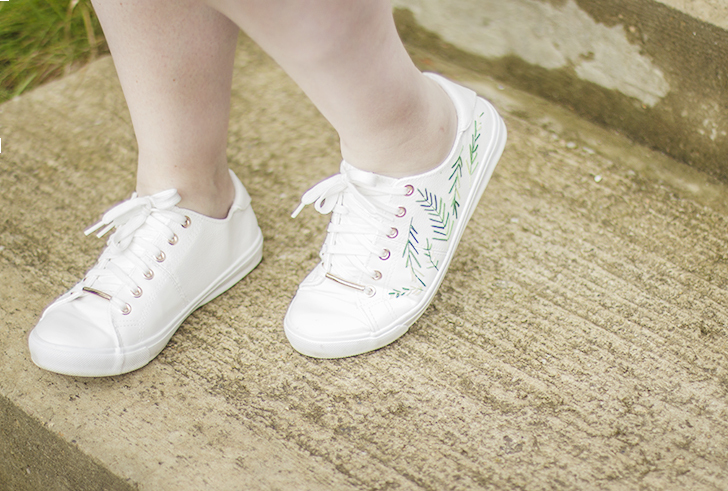 These trainers were a faux leather finish so I used a pair of pliers to help push and pull the needle through some of the tougher parts but apart from that, they were so easy to create. I am totally smitten. I really like these! 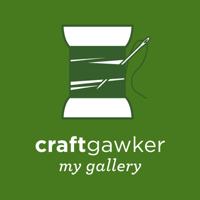 What stitches did you use? 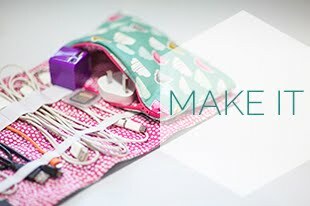 I used a combination of back stitch and lazy daisy, but you can use which ever you know or feel confident doing really.